Total Merchandise Ltd, a photo by totemtoeren on Flickr. 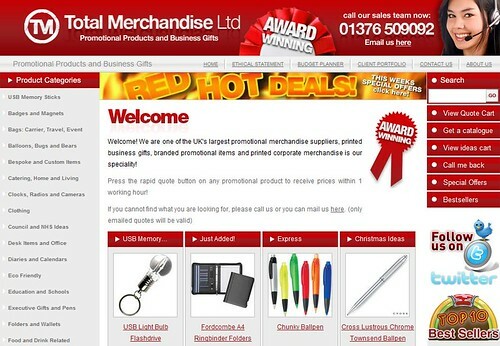 Welcome to the Award Winning Total Merchandise Ltd Website. We are one of the leading companies in the UK for supplying printed promotional business gifts to large blue chip companies and locally run businesses and charities. Our Management team consists of the following members. David Stoddart – Sales Director and Owner. Jason O’Connor – Sales Director and Owner. 37 Years of age with over 15 years experience in the Publishing and Sales industry. Michelle Rae – Finance Director and Owner. 37 years of age with over 22 years experience as an Accountant within different business sectors. Plus a happy Executive Sales force, Art and Design team, Samples Department, Product Development Manager, Web site Developers and System Developers. Whether your needs are for pens and pads to promote your brand throughout the office environment or balloons and bunting for outdoor promotional events or even USB technologies for corporate motivational schemes, our friendly team of sales advisers are here to help you find the right product, at the right price, delivered on-time! Our dedicated approach to this industry sees our clients returning time and time again. With over 15 years of experience in the trade, we have secured trusted relationships with many of our manufacturers, suppliers and courier companies, allowing us to service your requirements with aplomb. Every order is important to us, which is why you will receive your own customer care adviser from start to finish! They will keep you updated through every stage of your order until the day it is delivered. We have over 15000 products available to you from UK and European stock on fast turnaround times, especially on plain stock orders. We also have existing relationships with factories in the Far East to meet your completely bespoke or bulk order requirements. Our experienced in-house Art and Design Department are well versed in undertaking any artwork amendments you may need following your brief. From simply adding a web address to your existing artwork or completely re-drawing your logo into a print ready format. In the instance that you are selling our products on to your clients, we have a number of helpful tools available to you, such as a blank website, with no contact details of ours and none of our prices, enabling your clients to deal with you rather than us. We can even send you blank headed quotes, allowing you to add your mark-up and forward on to your contact. Please continue to browse through our web site and submit a quick quote enquiry or a call back request for a fast response from our Sales Team, or even order a free catalogue to peruse. I am crazy about this site. I have visit so many time to this site. I was found this blog from Google. I have received a nice stuff of information. 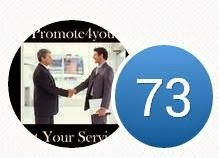 I really appreciate to meet to it and i emphasize to this site. My curiosity to learn more and more on this blog.Admire! Looks like you guys have enough experience in this field.If possible post your work sample.Thanks.